«I live suspended between the earth and the sky, I feed myself with grape juice, seafood and love letters from the world, of the sea I know the light and the darkness». 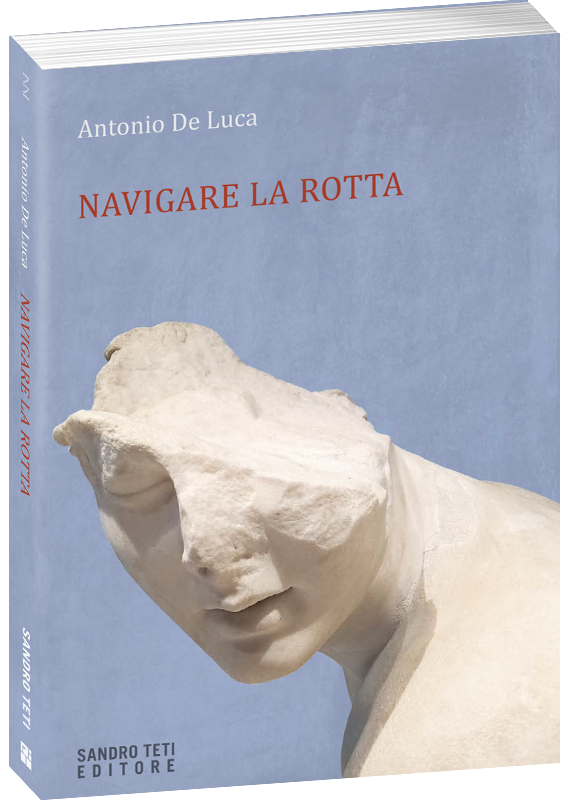 THE BOOK: Navigare la rotta, the new collection of poems by Antonio De Luca, plunges into the Mediterranean. The author rambles for seas and lands. Between the waves he first finds Ithaca then Syracuse, Crete and Athens, then reaches Byzantium-Constantinople-Istanbul. A journey where between a stroke of oars and another the mythical figures of the classical Greek and Latin tradition appear such as the ancient cyclops and the contemporary giants: Šostakovič, Garcìa Lorca, Neruda and many others. De Luca verses inebriate us with Mediterranean flavors and fragrances, make us lose ourselves among suggestive landscapes and feel pilgrims who at the end of the wandering will have hands that smell of “sea, land and must”. Antonio De Luca (Naples, 1956) is a poet, a sailor, a fisherman and a traveler. He lives and works between Ponza, an enchanted island on the Tyrrhenian coast, and the Mediterranean countries. The sea is the protagonist and the inspirer of his verses. Published Ade-Spota (Vallecchi, 2012) together with Andrea Simi e The carpenter and the partisan (Last beach, 2016). In 2011 he won the national prize of the poetry “Express the inexpressible” with Fatal shores. Since 2012 he has been the author of the nemesimediterranea blog, where it is possible to dive not only in the world of his art but also in the sea, navigation and food. «Antonio ha un dono poetico non snaturato da smorfie letterarie, l’avessi conosciuto prima starebbe nel mio Breviario Mediterraneo». «Un testo appassionato e appassionante. Un tributo alla grecità». 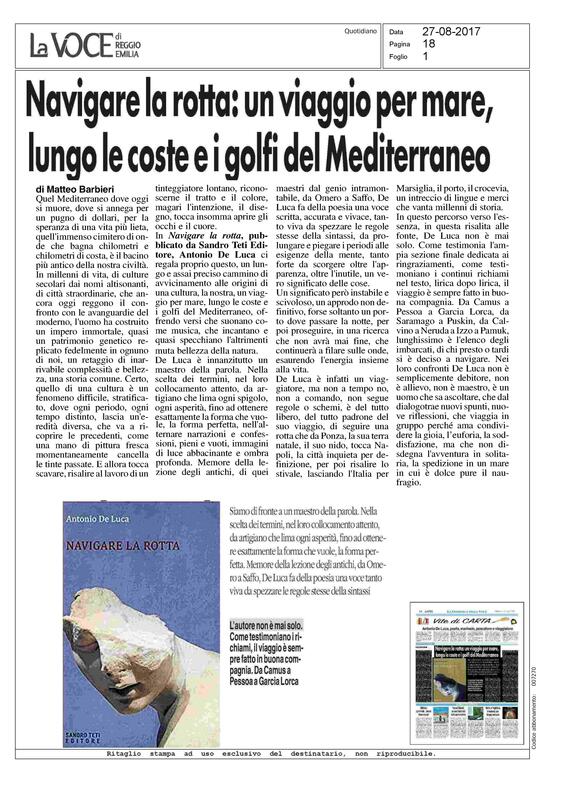 «Un magnifico libro. Il mare di De Luca è quello da cui viene tutta la nostra civiltà».